This Choir Started Singing ‘Africa’ but Began by Rubbing Their Hands Together and It Was INCREDIBLE! We typically associate choir performances with favorites such as ‘Amazing Grace‘ but the following choir sings a classic rock favorite from the 80’s and it sounds INCREDIBLE! The Angel City Chorale is based in Los Angeles. It comprises 160 men and women with a commitment to good music and good deeds. Led by their artistic director Sue Fink, the choir sings ‘Africa’ from the rock band Toto. Released in 1982, ‘Africa’ was a #1 hit for the band and remains one of my personal favorites. The iconic song was written by the band’s keyboardist and vocalist David Paich and drummer Jeff Porcaro. This cover by Angel City Chorale is a fresh take on the popular ’80s hit and the intro is especially impressive. The choir creates sounds with their hands to replicate the song of a storm passing through the African countryside. If you close your eyes, you would swear you were listening to an actual storm. The Angel City Chorale reflects the diversity of Los Angeles and aims to entertain and inspire through the power of music. 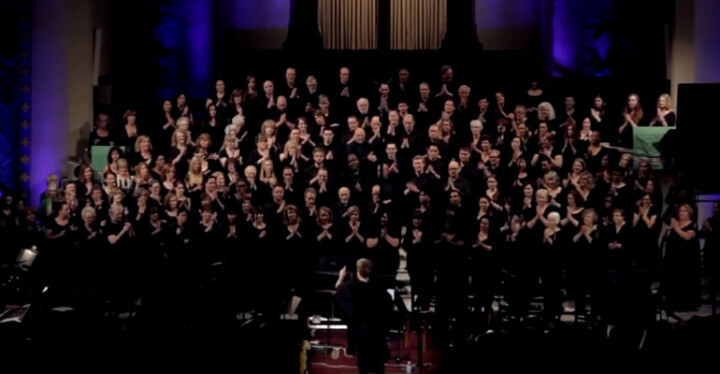 Please share this unbelievable performance of Toto’s ‘Africa’ by the Angel City Chorale with your friends and family.